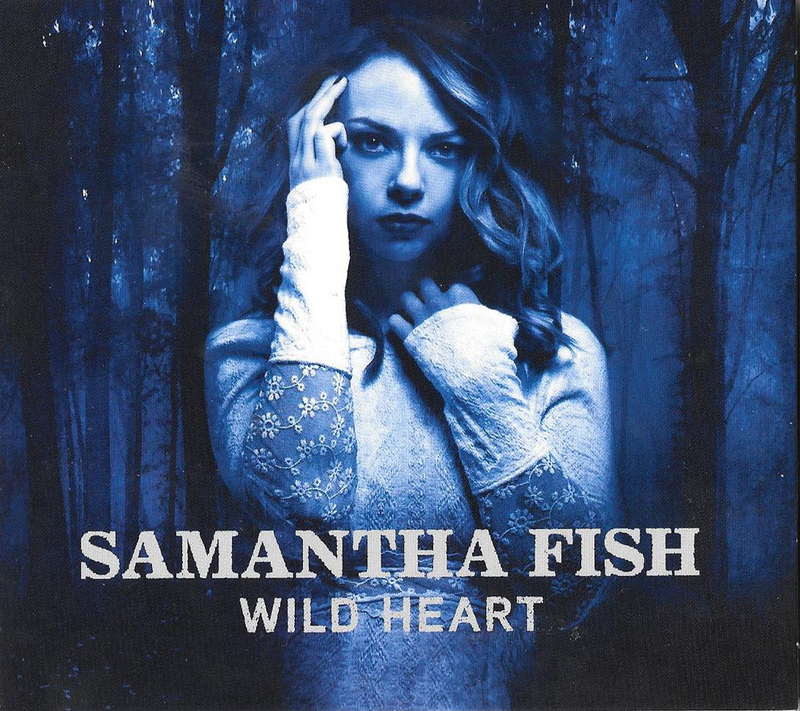 This is the album that will definitely place Samantha Fish at the top; she has achieved a double accolade on her third studio album with vocals full of energy and precision in her delivery combined with guitar playing that lifts the roof off and shows this is a woman who relishes being a Wild Heart of the blues. It is a fitting follow-up to Black Wind Howlin’ which we said was “ …a weather vane of sound as the wind changes direction the tonal range shifts”. The whole album has a vitality and energy that pours out of the speakers brightening up the room where the music cascades this is a feel good album from Sam; who has a natural talent that is fuelled by deft fingers and vocal chords that shape and deliver the song. Opening with Road Runner; this is no cartoon character but music with a country blues twang that is being delivered by a musician who just has to play her music, powerful chords and impeccable timing, and wild licks starts the Wild Heart a listening experience that continues over the next eleven tracks. The blues women and guitars can trace their lineage back to Rosetta Thorpe; through to the greats of now Bonnie Raitt and Susan Tedeschi and in the U.K. Joanne Shaw Taylor with her searing guitar breaks, and now into the mix is most definitely Sam Fish with her superb slide and cigar box guitar adding a distinctive tonal cadence. Added into the mix is the accomplished band of musicians that she has gathered around her including a rhythm section, Luther Dickinson on Bass & Grammy Award winning drummer Brady Blade, together they combine a rhythmic dexterity that keeps the shape of every style of roots music being delivered on the album. What sets the album apart from many is that it is so listenable with the combination of vocals that drag every meaning out of the lyrics whether on a cover, a track penned by herself or co-written. from the country rootsy feel of Blame It On The Moon with her vocals howling with a wildness that has to be moon fever; or Go Home a gentle melodic sitting on the porch tale as she sings “Wrapped those secrets around a telephone pole” this is a reflective song on how families and home shape you. Then there are tracks like Turn It Up where the heat is turned up the guitars and vocals wail in a Southern Rock swampy number that gets the adrenalin going; it is a breathtaking number that for me defines the very bluesy greasy groove that is the essence of Samantha Fish’s appeal. This is a superbly and sensitively produced album, demonstrating what a master Luther Dickinson (north Mississippi All Stars /Black Crowes) is when it comes to understanding what is required in the process of creating an album drenched in the complexity that is music rooted in the fertile musical lexicon that is American roots music. Luther has distilled the essence of Samantha through her pulsating fingers on the frets, lyrical singing resulting in a perfume of musical depth and complexity flowing wild and free from your speakers it is truly on every track a Wild Heart.